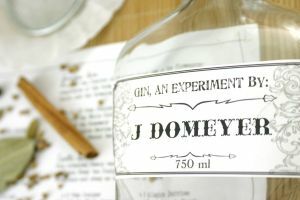 Recently, while looking for a Christmas Gift for my Brother In Law, I stumbled upon this Kit to Make Your Own Gin. I was immediately enthralled with the idea. My Brother in law loved craft beers, and this sort of home-made compound Gin allows the user to do something similar- but with Gin! Here’s the skinny: Commercial Gin is made by infusing a donor alcohol and then distilling it again. 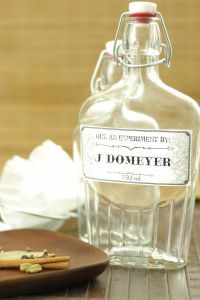 You can, however, make “compound gin” at home by infusing a medium grade vodka with Juniper and other botanicals. Using different blends of spices and herbs, there are endless flavor possibilities! 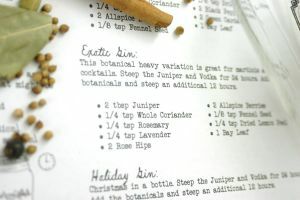 The trouble I found with the kit, however, is that it only offers enough of the ingredients to make 1 batch of Gin. Further, they have all the botanicals pre-measured and packaged so you can only make one flavor. I wanted to give my brother in law a more complete experience, with the ability to experiment and make his own flavor based on his tastes. So, I decided to make the kit myself! I found EVERY ONE of the botanicals at my local Harvest Health foods. I was really surprised, and had expected to have to order at least some of them online. Nope! Oh, and did I mention they were all around $1 each!? 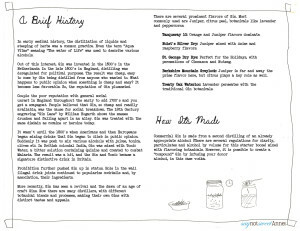 That mean’s my Make Your Own Gin kit is not only more versatile, but cheaper than the commercial one. Well, I didn’t want the gift to be just a bunch of stuff I bought. I mean, c’mon! You guys know me, and I always have to take it a step further. 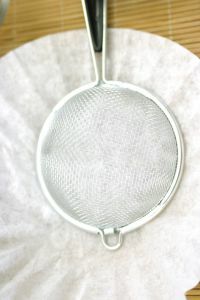 So, I spent HOURS researching Gin, Gin recipes, compound Gins, the history of Gin and everything else I could think of. With that information, I made this super cute printable. Its got all of the instructions the recipient needs to use the items in the kit to make Gin. I’ve got 3 different compound Gin recipes to use as a guideline and place for them to write their own concoction. Oh, and I tried to make it “not too cutesy” per my hubby’s request. After that, I made a cute label printable and put his name in it. I glued it to the bottle and voila! 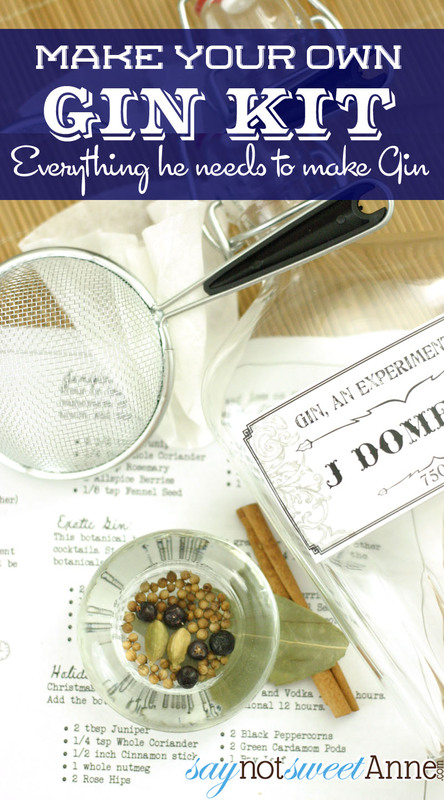 Personalized awesome DIY Gin kit! GET THE LABELS. That’s it! Put everything in a cute box and you’ve got an amazingly thoughtful, fun and pretty darn cheap Manly gift! What did you end up packaging the botanicals in? Original store packaging? I see other kits put them in 2oz tins, but that’s just for two botanicals. I’d like to give a variety like you did. I’m hoping to make a bunch of these for the men in my family 🙂 Thanks! I bought a bunch of little tins in a lot off of Pick Your Plum or a similar website. So all I did was pour them in, (making sure there was at least enough for 1 batch) Done! The Juniper is the one you need to most of, I put that in a muslin bag so that I could be sure there was enough for 2 batches, since I gave 2 bottles. Thank you, Kayla!! 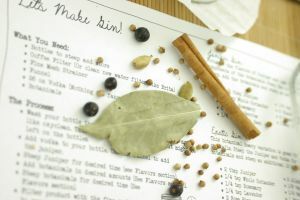 Last question: you include cinnamon as a botanical to use but I don’t see it in the recipes in the printable? Is there supposed to be a third page? Thank you so much! I included cinnamon because some familiar Gins use that flavor. I did not, however, find a recipe that included it. Its in the kit as an experimental botanical for the recipient to use to make their own creation! Hey Katie, I did a quick check and both pages are there in the PDF. Its possible your PDF viewer is only showing one page. Have you tried to print it?